An event for families to find out about the Harbour birds through fun activities set up by our bird enthusiasts, Rangers, Ecologist, Education Team and partner organisations such as the Solent’s Bird Aware. Two chances to win! – enter our free draw for a family solar boat ticket and complete the quiz sheet by visiting every stall. Refreshments available. A slower-paced stroll of up to 1 ½ miles at Black Point at the entrance to Chichester Harbour with time for coffee afterwards. Bring money for coffee at the Sailing Club. Meet: Hayling Island Sailing Club, PO11 9SL, free parking by kind permission. A short stroll to view the high tide roost at Black Point with a birding guide. Dress warmly and bring binoculars if you have them. No dogs please. Fee: £5 on the day to include coffee. A short stroll with the Conservancy’s ecologist Pete Hughes (and Harbour coordinator for the national bird counting scheme WeBS) at North Common taking time to look for and hear about the Harbour birds. Dress warmly and bring binoculars if you have them. No dogs please. Meet: small free car park with height barrier, Northney, Hayling Island (about 1km from the entrance to the Langstone Hotel on the Northney road). A stroll around Chichester Marina and Salterns Copse taking time to look for and identify winter twigs and afterwards at Chichester Yacht Club for a cup of tea and to hear of the folklore associated with our native trees. With John Arnott, natural history enthusiast. Meet: outside Chichester Yacht Club at Chichester Marina, PO20 7EJ, free parking by kind permission. A faster-paced walk of 6 miles from Emsworth, past Warblington church to the old oyster beds in Langstone Harbour and back along the Chichester Harbour shoreline via a stop for a drink at The Royal Oak in Langstone. Bring money for the pub stop. Meet: end of Warblington Road, Emsworth, PO10 7HW. Roadside parking. A talk from historic naval archaeologist Dr Philip MacDougall about his work in trying to identify the site of what he believes is the original late-Saxon port in Chichester Harbour that was used by Earl Godwin and his fleet of not less than 20 warships in the years prior to the Battle of Hastings. 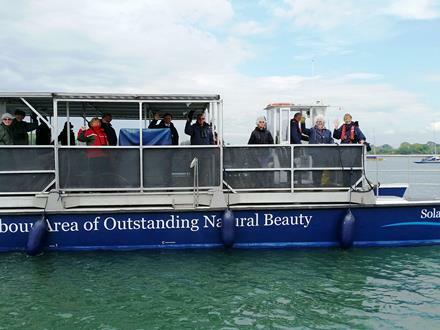 A gentle trip by solar powered boat up to 2 hours in length, to enjoy the Harbour and with the help of a bird enthusiast look out for and identify the birds found in this Area of Outstanding Natural Beauty. Dress warmly and bring binoculars. Selsey Town Council and Chichester District Council are working in partnership with the community on a process called 'Selsey Vision' - an opportunity for all members of our town to give their views on the future of Selsey. Follow this link to find how you can help shape the future of Selsey by contributing your thoughts to the Selsey Vision. The government is consulting on mandating biodiversity net gain in development to ensure habitats are protected and enhanced for the future. The consultation opened on 2 December and will run until 10 February 2019. Follow this link to find out more about Defra's Net Gain Survey. In addition Natural England have produced a simple video that explains biodiversity net gain. View at: https://www.youtube.com/watch?time_continue=3&v=sVR9VZYkMLc. A slower-paced stroll of up to 2 miles on the beach at the entrance to Chichester Harbour, with time for coffee afterwards. Even though it is winter the café will be open for us. Bring £2 for the car park fee and money for the café. Meet: by the café in West Wittering beach car park PO20 8AU. A faster-paced walk of 7 miles along the shoreline and in the countryside of two of the Harbour’s villages, Itchenor and Bosham, with two ferry rides and time for a lunch break in Bosham at the Sailing Club by kind permission. Bring £4 (discounted fee) for the return ferry rides and a packed lunch. Meet: outside the Harbour Office, Itchenor, PO20 7AW, roadside and pay and display parking. Be inspired by the Harbour and the guidance of professional Iain McGowan to take great photographs in the Area of Outstanding Natural Beauty (AONB). Dress for outdoors and bring footwear for muddy conditions. Bring a packed lunch. Any camera will be suitable. Half day review session to share your favourite shots 10am-12noon on Saturday 23 February. Fee: £28 for both sessions (minimum age 15 years). Booking essential here. Meet: Clubroom at Paynes Boatyard, Thornham Lane, Thorney Island, PO10 8DD. Free parking by kind permission. There are just two of these special trips sheduled this month to enable you to see the wonderul birds of the Harbour from the water. Each trip has an expert on board to give a commentary and answer questions. Please bring binoculars and camaras if you have them - there are some binoculars available on board. Numbers are limited to allow good visibility so book your place soon. Each trip lasts up to two hours and is weather dependent. To celebrate 20 Years of The Manhood Wildlife and Heritage Group, you are invited to take part in a photographic competition being held by the group to capture the brightest and glorious best of the Manhood Peninsula. The South Marine Plan is the second English marine plan to be adopted. It covers an area of around 20,000 square kilometres of inshore and offshore waters across 1,000 kilometres of coast line from Folkestone to the river Dart. It is one of the busiest shipping channels in the world, with significant numbers of freight and passenger transport as well as military activity with almost two thirds of Royal Navy ships stationed at Portsmouth. This intense activity and shipping takes place alongside 60 marine protected areas, including nine marine conservation zones and a UNESCO world heritage site. It is one of the most complex and used areas of the English coast line. As with land-use planning, marine planning is a statutory requirement. A marine plan becomes a statutory consideration in all relevant planning decisions once it is published for public consultation. The South Marine Plan will help ensure that the right activities happen in the right place and in the right way within the marine environment. It provides a framework that will shape and inform decisions over how the areas’ waters are developed, protected and improved over the next 20 years. The annual Selsey Festival is taking place throughout August this year. This is the 16th year of the Selsey Festival so there is lots to celebrate. The Festival features loads of events such as music, talks, shows and cinema. Screen On The Green is back on 10, 11 and 12 August. There will be showings of popular films such as Avengers Assemble and Top Gun. Thur 16th to Sat 18th August sees the 16th Fantastic End of the Pier Show at Selsey Town Hall. This much-loved show will be taking you on an amazing canter through iconic musicals, films, TV shows, sketches, comedy moments and much, much more! There will be some saucy surprises and everyone’s favourite ‘Jobs’. We will have our usual fabulous atmosphere with a pay bar. Shows from 7.30pm with the addition of a Saturday matinee at 2.30pm. Tickets £8 from Selsey Town Council or from Ticketsource. Pagham Harbour is a glorious and peaceful nature reserve, one of the few undeveloped stretches of the Sussex coast. This sheltered inlet is an internationally important wetland site for wildlife. Watch black-tailed godwits and little egrets by day, then linger when skies are clear for an amazing sunset. A stroll of 3 miles along the shoreline to Nutbourne and back via the old orchards. There is one stile to cross on this walk. Meet: Clubroom, Paynes Boatyard, Thornham Lane, Thorney Island, PO10 8DD. Free parking by kind permission of the boatyard. 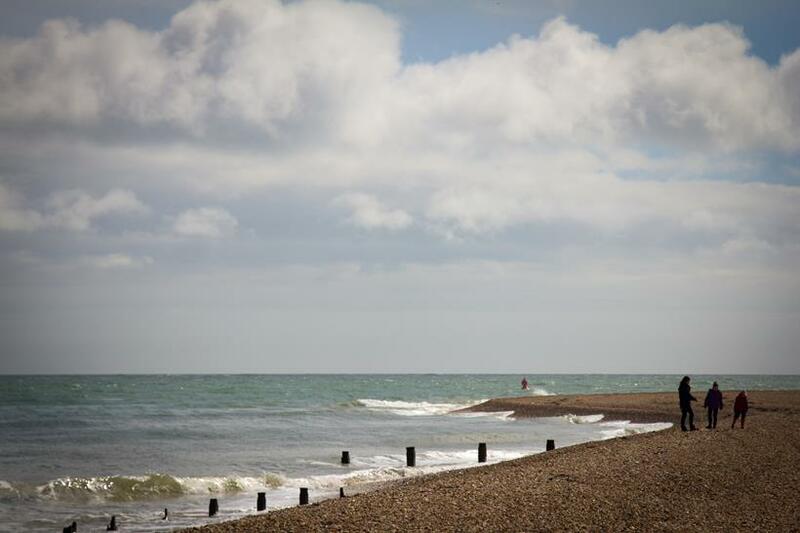 Features: a 9 mile linear walk along the Hayling Billy track to the entrance of Langstone Harbour, then along the coastline to finish by the Lifeboat Station at the entrance to Chichester Harbour. After meeting up we will travel by minibus to the start of the walk. Bring a packed lunch. Fee: £5 on the day or free for members of Friends of Chichester Harbour, bring membership number. To join click here. Meet: upstairs in the Hayling Island Lifeboat Station, off Bracklesham Road, Hayling Island, PO11 9RR. Free parking by kind permission of the RNLI. 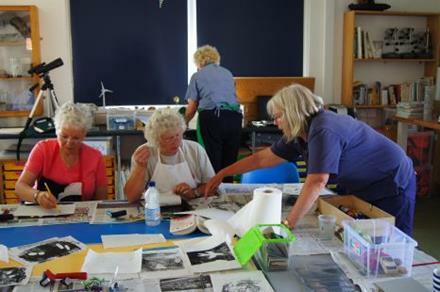 Features: allow yourself time off to drop in for our Harbour Art workshop led by Conservancy Teacher Fran Davies. At the start Fran will talk through some ideas inspired by the natural environment of this Area of Outstanding Natural Beauty and you are then free to spend time as you wish on your own artwork. Some basic materials will be available but it is recommended that you bring your own. Suitable for all levels of ability. Fee: £15 to include tea/coffee. Booking essential online or phone 01243 513275. Meet: Harbour Education Centre, on the quay, Dell Quay, PO20 7EE. Roadside parking. See details above but note change of venue. Book here. Solar Heritage is a 14-metre solar powered catamaran licensed for public boat trips. She can carry up to 50 passengers. The boat is open-sided for unimpeded views so warm clothing and wet weather gear is advised. There is a toilet onboard and the boat is fitted with a wheelchair lift. Booking in advance is recommended for trips departing from Itchenor. Please visit our website www.conservancy.co.uk or call 01243 513275 to book. Friends of Chichester Harbour members are offered a discount of £1 per ticket. Please quote membership number when booking. To join please go to www.friendsch.org. Departures from Itchenor: Please wait on the viewing platform in front of the Harbour Office 15 minutes before departure time and the crew will collect you. Park in the pay and display car park near The Ship pub - PO20 7AE. The timetable is available here.